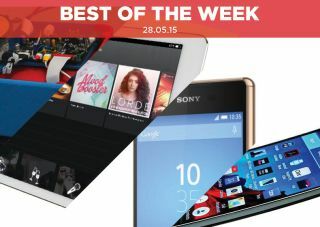 Best of the Week: Sony Xperia Z3+, 3D printed CD player, Spotify streaming review | What Hi-Fi? Tests of LG's bendy G Flex 2 smartphone, Sony's budget BDP-S5500 Blu-ray player and Spotify made up the best of this week's reviews. Sony's Xperia Z4 has gone on sale in Japan but it won't be coming to Europe just yet. Instead we'll be getting the Z3+. Essentially an evolution of the award-winning Z3 smartphone, the Z3+ is slimmer and lighter, but perhaps the most significant change comes under the hood, with a faster Qualcomm Snapdragon 810 processor. Otherwise this is much the same phone with a few tweaks and improvements. The phone still features a 5.2in 1080p display, a 2MP camera with improved wide-angle lens and - thanks to that newer processor - Sony claims the battery life will see some notable gains. The Z3+ is available to buy now. A fun news item for the weekend. Botz&Us and a development team from the UK have devised what they claim is the world's first 3D printed CD player. Apparently the team behind it reckons the player's performance could rival that of high-end hi-fi. Granted, the DIY construction of the kit leaves a little to be desired, but if the sound is as good as they say then it will be interesting to see how far other teams can take the idea of 3D printed hi-fi kit. You can read more about the player over here. Sonos has launched a new offer that bundles two Play:1 speakers for £299. The Play:1 went on sale for £170 and is still around that price, making for a saving of at least £40. The offer is available while stocks last. If you're in the market for a stereo pair of speakers or fancy a multi-room set-up then head over to the Sonos website for more info. "This is a good choice if you want a powerful device that stands out from the crowd"
LG's original G Flex was an interesting experiment. Interesting but flawed. Now LG has returned with G Flex 2. Is it better or worse? The answer is better, but it still doesn't knock it out of the park. The curve has been tweaked so it fits the palm of your hand better, while the screen has been bumped up to 1080p. Sound has been spruced up too, being more exciting than previous LG efforts. Despite the various improvements, it's up against flagship powerhouses in the smartphone market. What it does it does well, but in terms of multimedia options other phones do it better. "Don’t let its size fool you – this little player goes big on performance"
Sony is knocking it out of the park with budget Blu-ray players. We loved last year's BDP-S5200, now we've tested the even smaller S5500. And it works wonders. It's not as flashy looking as last year's designs, looking quite basic in comparison. But that matters little when the performance is this good. The picture is crisp and detailed, as the Sony makes an excellent show out of contrast and colours, which are nicely judged. Sony has fired off a salvo in the budget Blu-ray market. If there's a player better than this one at this price we'd very much like to see it. "Accessibility, ease of use and content – Spotify has it all and then some"
The last time we looked at Spotify was more than a year ago. Now that Tidal, Deezer and others are competing with it, can it offer the same level of quality as it did before? Absolutely. Spotify is still ahead of the competition when it comes to the vastness of its library (now more than 30 million strong). It hasn't rested on its laurels either, frequently updating its interface, adding new features and offering a wide breadth of social interaction. While it hasn't moved towards lossless, 320kbps on the Premium service is still a decent substitute if lossless playback isn't a huge concern. There's a reason everyone wants to knock Spotify of its perch. This is still the service to beat.